Just up the hill from our store — only a hundred feet or so — is Spider Creek Resort, the family resort of northwest Arkansas. Since the 1930's, the resort has shared its beauty and accommodations with families through several generations. 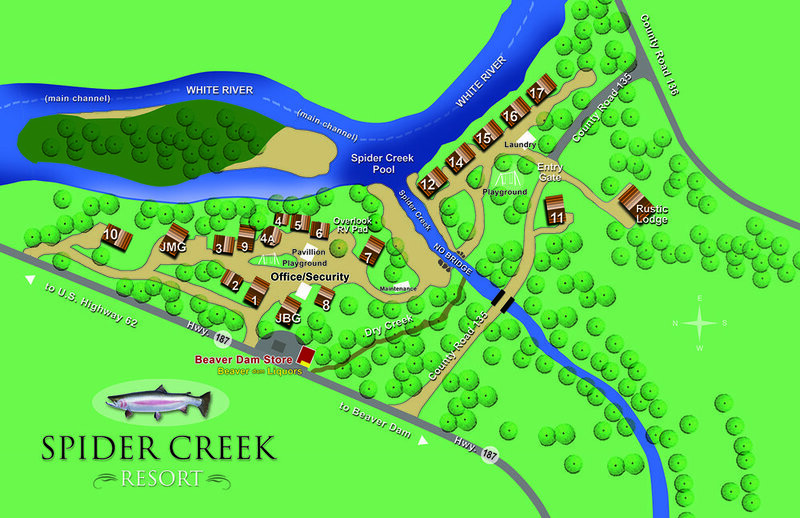 Growing to 50 acres with 20 cabins and one, large RV pad, Spider Creek offers lodging for groups both large and small. All their cabins come with fully equipped kitchens and charcoal grills. Many include incredible views of the river from the deck. Fish for Rainbow, Brown and Cutthroat in Spider Creek Pool, float the White River using the resort Shuttle Service or head into Eureka Springs for shopping, sight-seeing and restaurants. 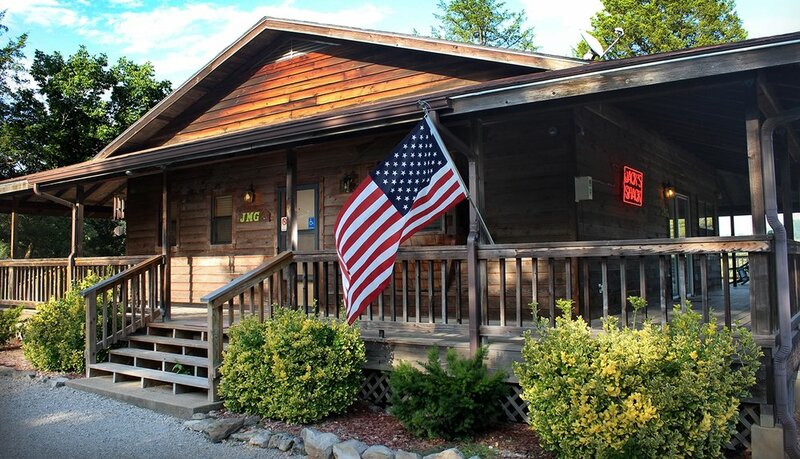 Click here to view their cabins and rates.